Campaigns can gain a competitive advantage by having access to accurate insights early in the cycle. Adding a phone survey option can broaden the range of respondents and produce better insight for important policy decisions. Powerful tools and best practice workflows can help you optimize interviewer productivity and deliver responses from the desired audience. 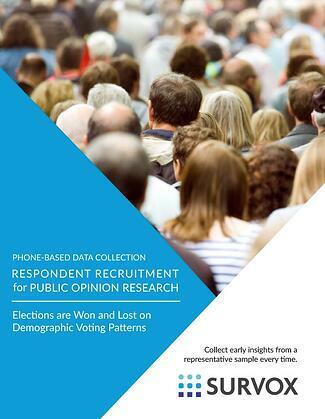 Download the FREE White Paper Phone-Based Data Collection: Respondent Recruitment for Public Opinion Research.